HP wide format printer that can print next to quality also boasts high speed work and broad connectivity options. Inkjet printer is capable of operating at a resolution of up to 4800 x 1200 dpi at speeds up to 15 pages per minute. It is the ideal instrument to studies, offices and other workplaces that use of the option to print all sorts of plans or drawings on A3 size. The tray can hold 250 sheets of paper into a 75-sheet output on. It communicates with your PC via USB 2.0, but for multiple users is much more practical built LAN Card and comfortable wireless WiFi With which you save a lot of time and resources uncomfortable pulling a long cable. 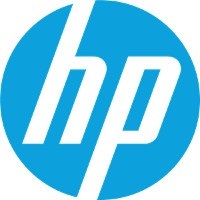 By connecting to the network and service HP ePrint You can not just easily print from the laptop, but also on smartphones and tablets. With the Apple AirPrint easily print documents or photos from devices such as Apple iPad, Apple iPhone and Apple iPod touch. A3, A3+, A4, A5, A6, 10 × 15 cm, 13 × 18 cm Done! The time between the computer receiving the print job command to the printing of the first page of the document, during which the initial preparation of the printer takes place (control, warming up, etc.). Power cable, Ink cartridge Done! Specifies the power consumption of equipment in standby mode, given in watts per hour. 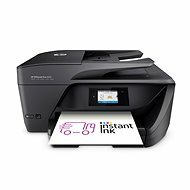 For shipping to other EU countries visit this page HP OfficeJet 7110 ePrinter. 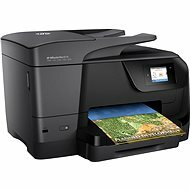 Für Versand nach Deutschland, besuchen Sie bitte HP OfficeJet 7110 ePrinter. Chcete doručit zboží do Česka? 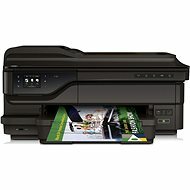 Prohlédněte si HP OfficeJet 7110 ePrinter. Chcete doručiť tovar na Slovensko? Prezrite si HP OfficeJet 7110 ePrinter. Für Versand nach Österreich, besuchen Sie bitte HP OfficeJet 7110 ePrinter. Magyarországra történő kiszállításért tekintse meg ezt a termékoldalt: HP OfficeJet 7110 ePrinter.